I have a theory that single women who buy champagne by the case rarely end well. Disclaimer: I've been known to make generalizations based on a case study of four. From "Loose Diamonds...and other things I've lost and found along the way", in the story titled, 'Champagne By the Case' which was also published in The New York Times' "T" Magazine's August 2011 womens' issue. (Sometimes) out of chaos comes order. 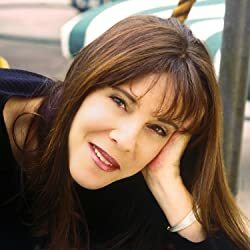 Amy Ephron is a writer who lives in Los Angeles. In addition to her novels and non-fiction books and essays which have appeared in Vogue, House Beautiful, the Huffington Post, The Daily Beast, etc, she has a column at The New York Times' "T" on-line called "L.A. POV" which skitters around fashion, entertainment, food, art, architecture, & occasionally the criminal court system. author's note: I first read the word "skitters" in Kay Thompson's "Eloise at the Plaza," which is still one of my favorite books. Please enter your email address and click the Follow button to follow Amy Ephron!